Zahra Stemlow, 3, left, and Juliette Hyde, 4, make note of which eggs they're going to grab once Saturday's Easter egg hunt begins at the Grand Traverse Civic Center. Hundreds of people turned out in chilly, overcast weather for the hunt. 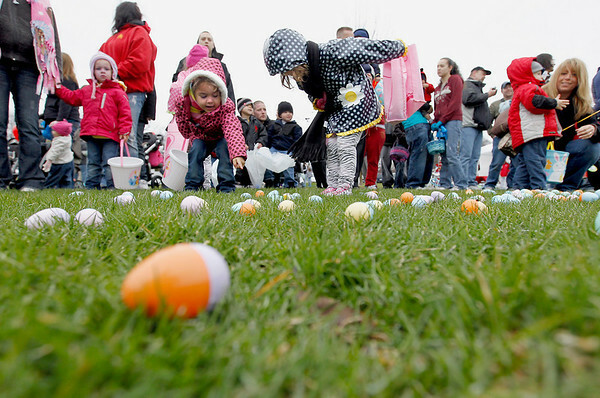 Thousands of candy-filled eggs were scattered in age group-designated areas, and an announcer's call sent mobs of basket, bag and bucket-carrying children to grab as many as they could.